The QIMR is one of Queensland’s premier research institutes with an international reputation. The new building is a focal centrepiece and the new entrance for the QIMR. It links the three existing QIMR buildings to become one identifiable entity. The building design provides a high quality work environment and maximises interaction between all of the building occupants. It accommodates a further 400 research scientists and support staff to bring the total capacity of the QIMR to almost 1200 people. 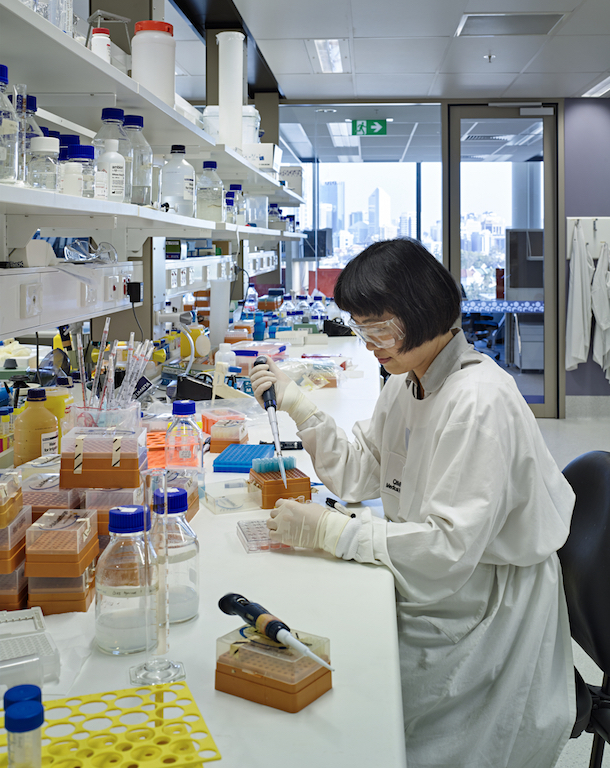 The world-class laboratory facilities are flexible spaces with the infrastructure capabilities to adapt to new technologies and emerging trends in scientific research practice, and cope with changes in legislation and standards. The facilitation of the briefing with the various stakeholders was undertaken by Wilson Architects and involved an iterative and collaborative working relationship that has spanned over six years and is ongoing through to this day. Many of the decisions that were formulated through these workshop process’ were based upon the precedence of the QIMR Clive Berghofer Cancer Research Centre, which was completed by Wilson Architects in 2000, and sought to improve on thelaboratory systems in place a decade ago. Wilson Architects prepared the brief for this building back in 1998-1999 and it formed the basis for the subsequent developments at QIMR.